Everyone is talking about how the late Whitney Houston lived and sadly died on Saturday, February 12th, at the age of 48. Most of the talk is about remembering her in her younger days as a songstress, but Whitney also had a career as an actress as well. Though she wasn’t in many roles, they were all memorable and thinking back about them made me smile. 1984 – Her first debut was on the small screen where she had a bit part on the TV series Gimme a Break! I used to love, love, LOVE this show back in the day! Whitney had a jheri curl, back when every black kid (including me) wanted that look. 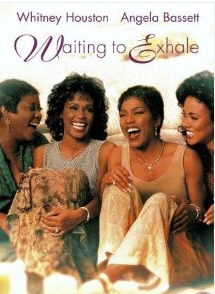 1995 – Next she played Savannah Jackson in Waiting to Exhale. The ultimate girlfriend movie of the decade. Every female I knew could quote that movie. Who wouldn’t love Whitney calling the Allstate guy, Dennis Haysbert, “the scum of the earth.” (sigh) I so wish they had made a sequel. 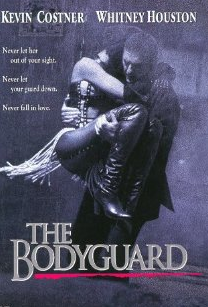 1996 – The last time she would be on the silver screen for a while. 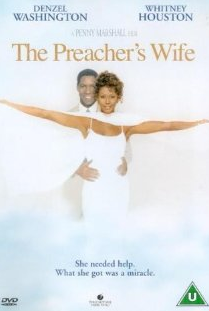 Whitney played, Julia Biggs, in The Preacher’s Wife opposite two ultra fine heart throbs Denzel Washington and Courtney B. Vance. 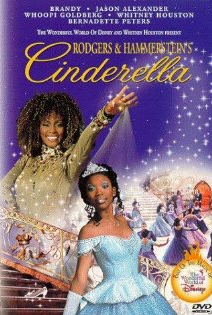 1997 – She took the role as the Fairy Godmother in a very cute, made for TV version of Cinderella, opposite Brandy. 2012 – Whitney had already finished filming a remake of Sparkle, set to release later this year. She plays, Emma, the mother of Sparkle (played by Jordan Sparks). Whitney is also listed as one of the executive producers. She was just 10 years older than me. I grew up listening to her music and watching her movies. Back in the 80s & early 90’s, my friends and I often tried to imitate her flawless makeup looks and her fabulous hair. I teared up a little when I saw Jennifer Hudson singing “I Will Always Love You” on the Grammy’s last night. I hope you enjoy the video clips I found online to share with you. I pray that Whitney Houston’s soul rest in peace. Please feel free to leave comments and let me know what you are thinking. What are your memories of Whitney? I would love to hear from you!